Laptops, smartphones and tablets have a number of sensors, such as gyroscope, accelerometer and light sensors, which websites can access to collect data about what kind of device you’re using, where you’re using it and even how you’re using it. 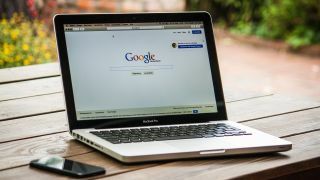 For anyone who is uncomfortable with websites accessing this kind of information, there’s some good news: Google is working on adding a feature to its popular Chrome web browser that will allow users to quickly and easily block access to these sensors. The new feature appears in the latest Chrome Canary build, which is an early version of Chrome that allows people to test out upcoming releases and check for any bugs or issues. This is on the desktop version of Chrome, which is used on laptops and PCs. There is also an option for blocking access to the sensors on Android, but at the moment this is only a simple switch that blocks access for all websites, not just ones you’ve selected. If you’re using Chrome Canary, you can access the settings at chrome://settings/content/sensors. According to MSPowerUser, the feature should be coming in Chrome 75, which will be made public in a few months.